DID GOD HAVE A WIFE? A HAIDA ARCHAEOLOGIST BRAVES THE WORLD OF HIS SHAMAN ANCESTORS TO FIND OUT. A PARANORMAL ARCHAEOLOGICAL THRILLER. Haida archaeologist Jake Lalonde dreams the same dreams as his ancestors, and his profession has taken him to strange and fascinating places before. 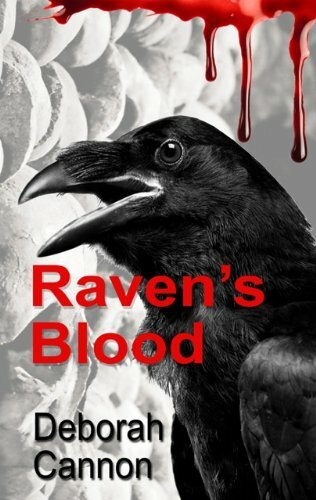 When the corpse of a colleague and friend, Vincent Carpello, appears in the back of a freight truck, however—his stiff hands miming the form of a raven rattle—Jake’s thirst for adventure sets him on a dangerous journey that may just be his last. At the University of Washington a team of researchers that include Jake’s fiancée, Angeline Lisbon, know that Jake’s now deceased colleague, Vincent Carpello, was on the cusp of a major discovery that had the potential to turn the world upside down. But when a Venus statue is stolen, Jake goes missing, and a cypher disappears, Angeline sets out to find Jake—Interpol’s number one suspect. Tracked by a dubious Interpol agent, Angeline follows the clues that soon lead her to a raven-worshipping goddess cult in the subterranean Mithraic temples of Rome. In this supernatural archaeological thriller, the shadow of a shaman must help Jake find his way back to the only world he knows so he can save both himself and Angeline—before it is too late. In the Mithraic Mysteries of ancient Rome, the Raven was a messenger of the god Mithras. Modern theories suggest that this cult, which was once thought to be exclusive to men may have included women. When I conceived of the Black Goddess for the fourth book in my Raven Chronicle series, the novel became something of a ghost story. The inspiration for the Black Goddess is a ghostly tale in itself. A character in fairytales, fables and mythologies, I adopted the triple form of the goddess from an anonymous essay I found online. Entitled Baba Yaga - The Black Goddess, the essay appears on a website created by Dr. Kathleen Jenks. She originally read the essay on a Slavic Pagan list, asked permission to link to it, and learned that the man who posted it obtained it from someone who took it from a site called the Dark Goddess list. When Dr. Jenks contacted her, she was put in touch with someone else who was thought to be the author. This person, too, turned out to be a false lead. Someone had copied the essay into an email and sent it to her. The trail stops there. Dr. Jenks could not track down the identity of the author. It was published on Crones and Sages on March 9, 2000, and to date, no one has come forward to claim authorship. "Jake Lalonde has an intimate connection to his ancestors. Despite his lack of traditional training, he has had shamanic-like experience where he is transported to the time of his ancestors. Indeed, he actually becomes his ancestor. Captivated, Jake is drawn to the symbol of the Raven. Evidentially, Jake is not the only one interested in this symbolism. His archaeological rival Vincent has made the discovery of the century. Yet, before he can present his findings, he is murdered in the most mysterious way. All signs lead to Jake but there is something far more dangerous at work here.